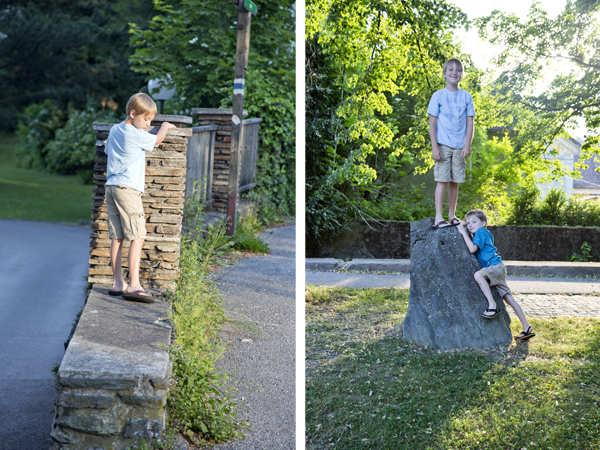 Our road trip through Austria was entirely too short. 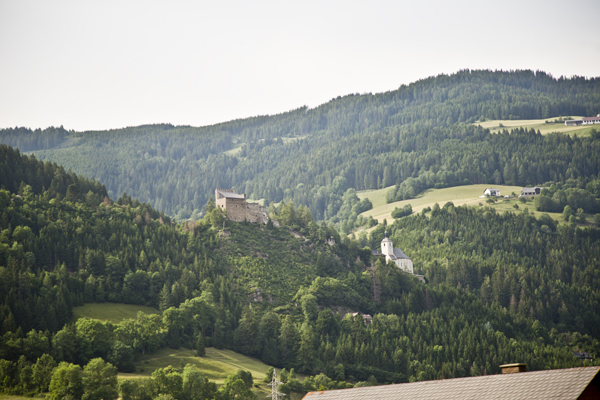 When you can look in every direction and feel like you have been dropped right smack in the middle of a scene from The Sound of Music, it is nothing short of magical. Even the gas stations have gorgeous views! It’s unreal. 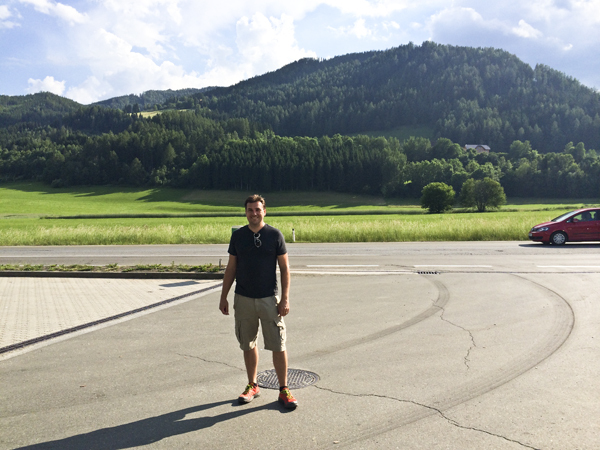 David at a random beautiful Austrian roadside gas station. We had to take a detour off of the highway because a closed tunnel was causing a major traffic backup. 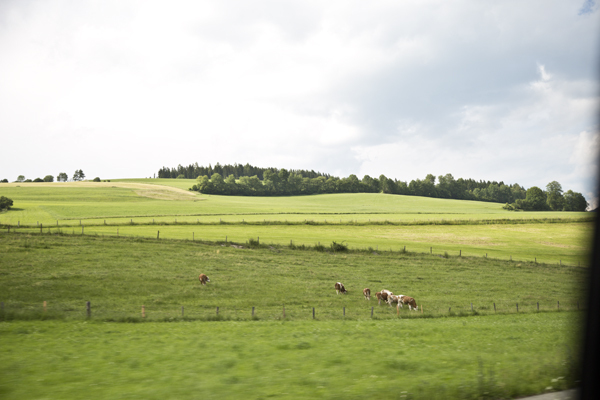 Our new route took us down small country roads and past open fields and farms and through quaint alpine villages. We drove up winding mountain roads and past seemingly endless groves of pine trees. 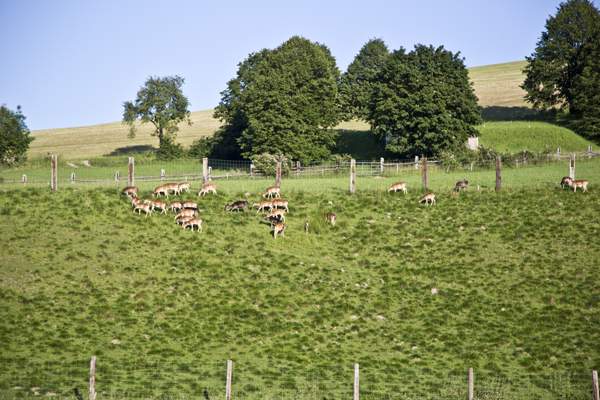 A farm raising domesticated deer. 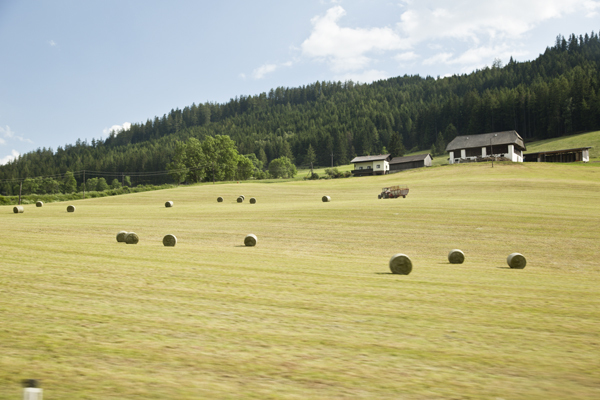 Bales of hay in the Austrian countryside. 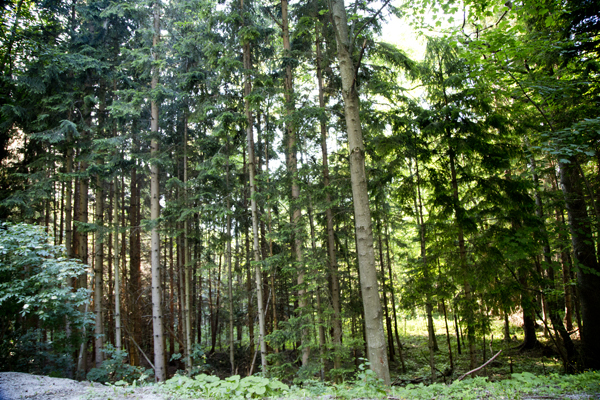 We were constantly surrounded by beautiful groves of trees. 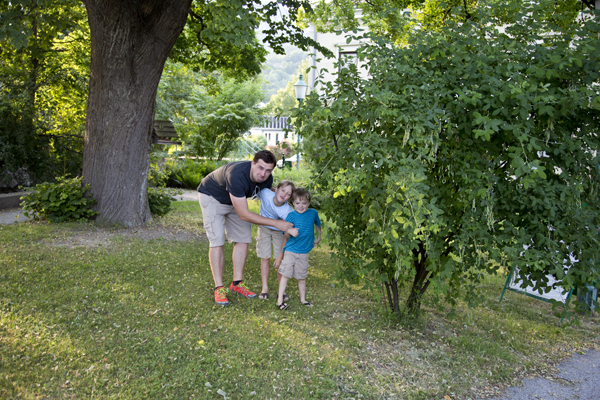 One of the places we most wanted to see in Austria was the tiny mountain town of Payerbach. 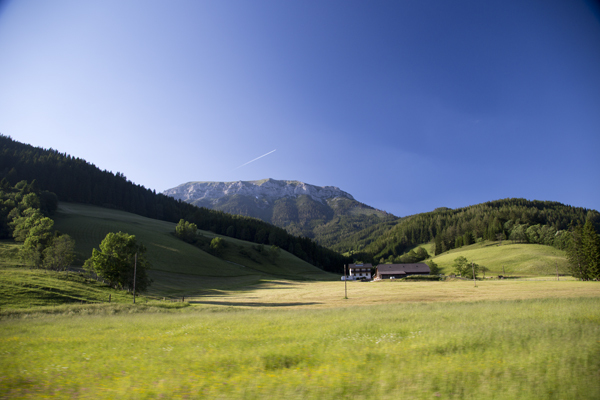 It is a popular vacation destination because of its proximity to Vienna and because it boasts many summer and winter activities, but that was not why we wanted to see it. Our reasons were much more personal. 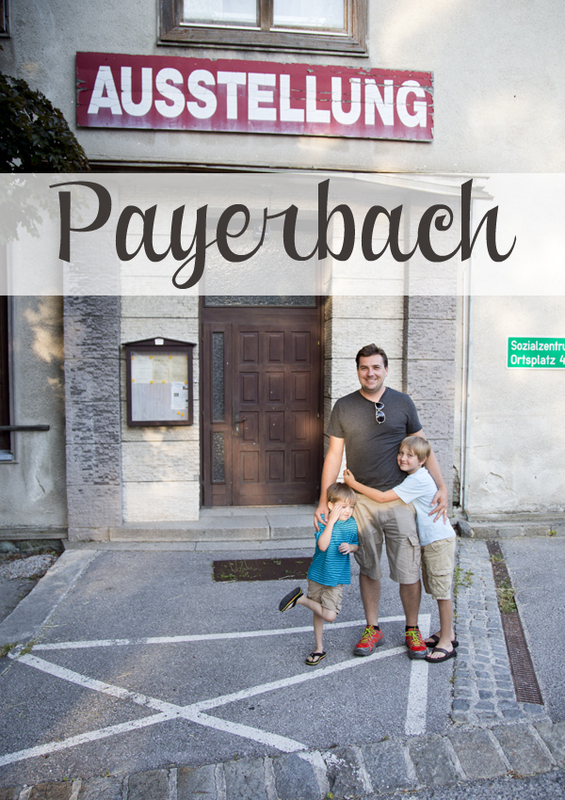 We wanted to visit Payerbach because it was David’s home for a short time when he was a small boy. 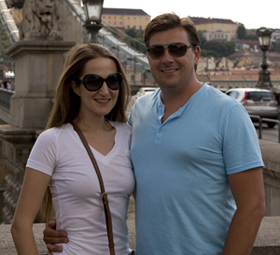 After fleeing communist controlled Hungary, David and his parents lived in a home for refugees in Payerbach for six months while they awaited word on whether they would receive asylum from Australia, Canada or the United States (they would eventually end up in Australia, but that’s a story for another day). 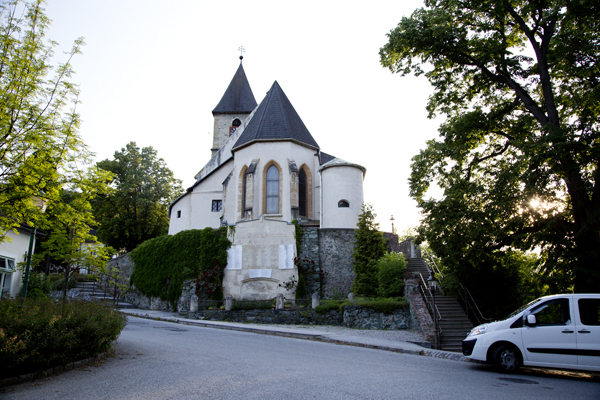 The family has fond memories of their time in Payerbach and Dédi was even able to visit them while they were living in the tiny Lower Austrian town. 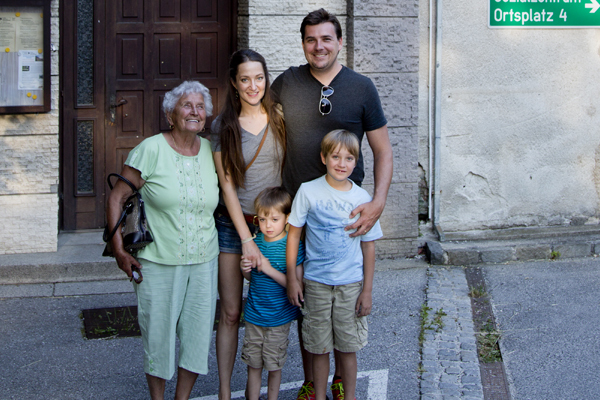 We posed in front of the building where David and his parents lived and Dédi showed us the church they attended while they were there and the exact bush where David hid and began to cry once he learned that Dédi and his grandfather would be returning to Hungary without him (whether or not it is actually the same bush is debatable, but Dédi insisted that regardless of whether it was the same bush, it was definitely in the same spot so David and the boys reenacted David crying). David calling his parents to tell them where we were. Posing in front of David’s former home. A closer shot of all of us. 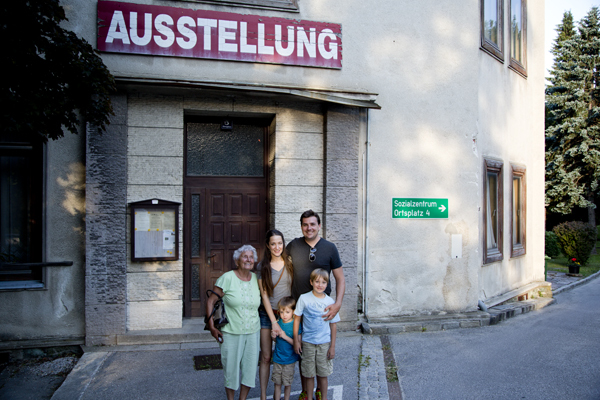 As we were pulling out of Payerbach, Dédi became extremely emotional. The following day would mark the 29th anniversary of when David and his parents fled communist Hungary for their new life. Dédi insisted that she wasn’t sad but that she gets so emotional because at the time her whole world was turned upside down. She spent her whole life knowing things a certain way and imagining her future and how it would be. 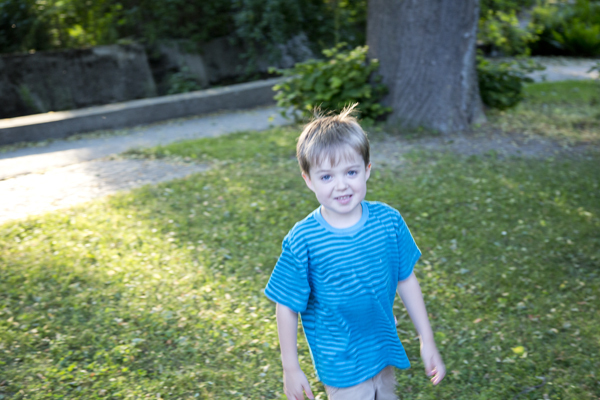 When David’s family fled all of those future dreams vanished in an instant. Sure, they were replaced by new dreams, but at the time the sudden change was both startling and upsetting, as most uncertain things can be. She insisted that she wouldn’t trade her reality now for what might have been if they had stayed because it would mean a world without Big Guy and Little Man and that would be unacceptable.